Stay up to date with LRN's latest content resources, course library updates, upcoming events and more. Happy New Year! We hope you had a wonderful holiday break. Now that we're back in full swing, we'd like to present you with our latest perspectives and headlines, new product and course releases, upcoming events, and top blog articles. 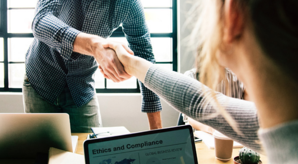 So far, in 2019, we're seeing that anti-harassment continues to be a crucial topic area for ethics and compliance professionals. 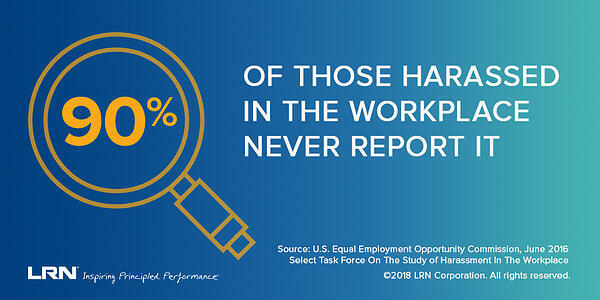 Furthermore, with the increasing reports of workplace harassment and toxic cultures, many are left wondering -- what is the role of the board in all this? 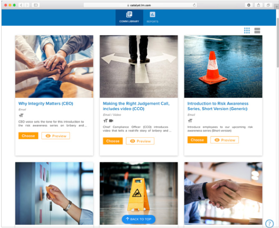 To help navigate these issues and stay up-to-date with the latest laws and regulations, LRN has created new courses and resources for you to employ. 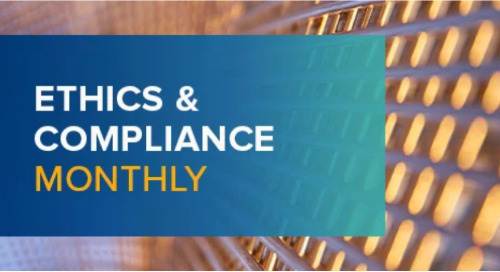 Learn more in this edition of Ethics & Compliance Monthly. In our latest guide, learn 12 steps that boards of directors and compliance leaders can adopt to help make ethics & compliance the priority it needs to be. These practices will help organizations shift time and strategic focus to E&C, hold leadership accountable and create meaningful metrics. 2018's end-of-year course survey included responses from more than 398,000 learners, who agreed that LRN's educational courses are high-quality, engaging experiences that help make connections between risk scenarios and real-life, and ultimately result in positive behavioral change. LRN will no longer support TLS (“Transport Layer Security”) 1.0 protocol, which will be disabled on LRN’s Catalyst® Platform on March 3, 2019 at 6:00 AM (PST)/2:00 PM (GMT). TLS 1.0 protocol is used by Internet Explorer (IE) Version 7 on Windows XP and Vista (also with IE 7 r). Access to the LRN’s Catalyst® platform via these combinations of browser and operating systems will no longer be supported and will result in an error. We recommend that you reach out to your Information Technology and/or Security teams to assess any impact this will have on your users and implement an appropriate mitigation solution. Several states have now approved legislation that now requires companies – even very small ones – to adopt sexual harassment prevention policies and provide sexual harassment prevention training to employees. To help summarize what is required under the various laws of each jurisdiction in California, Connecticut, Delaware, Maine, New York and New York City, we recently created a helpful guide. LRN recently announced a strategic partnership with and a significant investment from Leeds Equity Partners. Together, we plan to expand our ethics and compliance solutions for our global community, and continue to invest and innovate. Access real-time analytics, and more!